KD-WV250 Series Using IP65 waterproof streamline design, Can effectively prevent rainwater on the surface erosion, Built-in high-performance Maximum Power Point Tracking(MPPT)Function,Better able to track changes in the solar luminosity and control different output power, Effectively capture and collect sunlight. AC electric power transmission using the reverse transmission technology, Is one of our patented technology, The inverter output power can provide load priority use, Extra electricity to the grid, Efficient use of the inverter to the power emitted, Electricity transmission rate of up to 99%. In order to achieve higher power, we can use this inverter in stack. For example: 10 pcs of 260W grid tie inverter used in stack can achieve 2600W. And the stacking number is unlimited. Please install the inverters according to the user manual and connnet the groud safety. Forbid openning the shell with non-professional person ,only qualified maintenance person can repair the product . The inverter should be installed in the low humidity and well ventilated place,and remove the flammable things surrounding the inverter for avoiding overheating . Avoid children play when the inverter is working. Ensure the DC input and AC output when connect with PV. The Vmp and Voc of PV should be fuit for the prodcut for get output max. 3-Month Free Recall. 1-Year Free Repair. 20-Year Limited Warranty. 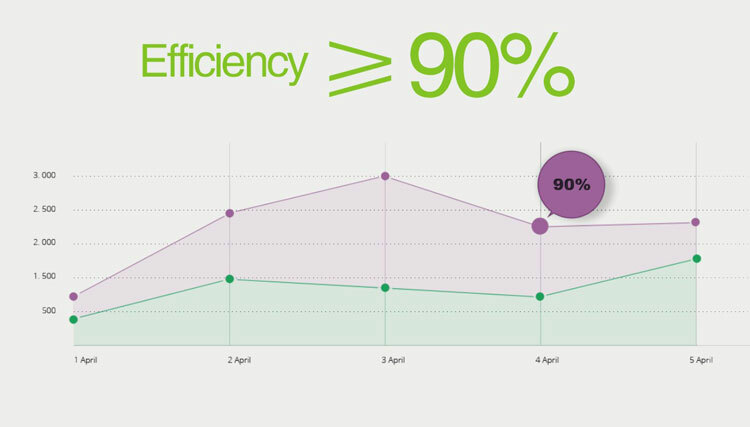 The transition from a centralized to a distributed inverter optimizes energy collection. The converter module integrated into the solar panels can reduce installation costs. Soft switch technology to replace hard-switching technology can improve efficiency and reduce heat dissipation. From cottage industry to mass production, standardized design (hardware and software) to improve reliability and reduce costs. Using a special capacitor (due to the high failure rate). Design requires a higher voltage to reduce the current, we use a special electrolytic capacitors. The converter can be connected to the grid to eliminate the need for many battery applications. The high price of batteries, require maintenance, life expectancy is shorter. Work required micro-inverter power increasingly smaller (only a few hundred watts), which can reduce the internal temperature and improve reliability. 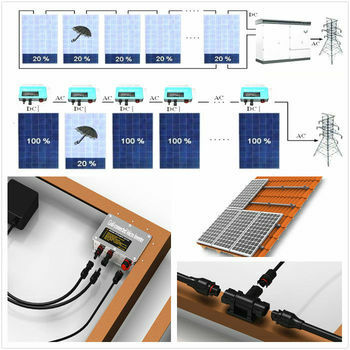 Micro-inverter solar inverter system needs to deal with a lot of a particular power level, in order to increase production, thereby reducing costs. Any Auestion,Please Feel Free To Contact Us. Carl Tung | KaiDeng Energy Technology Co., Ltd.